Professor Eric Danquah plant geneticist and inspirational leader in Ghana and renowned soil scientist Professor Rattan Lal in the US each received the GCHERA World Agriculture Prize 2018 at the award ceremony on 28 October 2018 at Nanjing Agricultural University Peoples Republic of China. Each prize of 100,000 USD is generously sponsored by the Education Development Foundation of Nanjing Agricultural University and Da Bei Nong Group. With these awards GCHERA recognizes Professor Danquah’s and Professor Lal’s exceptional and significant life time achievements in the field of agricultural and life sciences. 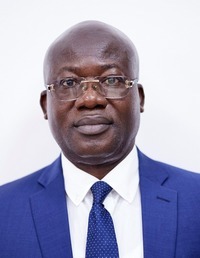 Professor Eric Danquah is from the West Africa Centre for Crop Improvement (WACCI) at the College of Basic and Applied Sciences of the University of Ghana. John Kennelly, President of GCHERA, in presenting the award said: “Eric Danquah established the West Africa Centre for Crop Improvement (WACCI), led a maize breeding program which has released three high yielding maize varieties in Ghana, created the Seed Science and Technology International MPhil degree program, and significantly contributed to the establishment of the Biotechnology Centre at the University of Ghana. The establishment of WACCI by Prof Danquah provided an environment where young people were inspired to pursue careers in plant breeding. Over 100 students from 19 African countries have had the life transforming opportunity to receive a world class education in plant breeding. His encouragement and support of women to study in this area has been especially noteworthy as today over one third of the students enrolled in the program are women. Many of the graduates have gone on to develop improved varieties of commercial and indigenous crops in their home countries. These highly trained professionals will continue to produce improved varieties of the staple crops of Africa for decades, thus extending the legacy of WACCI in improving the lives of small farmers as well as contributing to global food and nutritional security. ” Eric Danquah in accepting the award in Nanjing announced that he will donate the award money to support a foundation to attract talented but needy students to study agriculture at the University of Ghana”. John Kennelly, President of GCHERA, in presenting the award said “Professor Rattan Lal is globally recognized for his contributions to education and research in the sustainable management of world soils. His specific focus has been on the management of soil physical, hydrological and mechanical properties to minimize risks of soil degradation, and to restore degraded and desertified soils through sequestration of atmospheric carbon dioxide in soil and vegetation. His mentorship of hundreds of students who have gone on to hold leadership positions in academia, government and industry ensures that his legacy will continue for many decades through the work of his students. 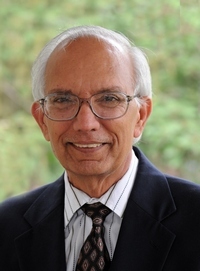 “Rattan Lal in accepting the award announced that he will donate the award money to support further the work of the Carbon Management and Sequestration Center of the Ohio State University for which he has been the founding director since 2000”. Jeff Sharp, Director, School of Environment and Natural Resources, Ohio State University said “ Professor Rattan Lal’s focus on restoring soil health through carbon sequestration is significant, not only to the goal of increasing global crop yields but also to the goal of sequestering atmospheric carbon dioxide in soil as humus. His impact on the scientific community is substantial, particularly his extensive professional leadership roles and his commitment to mentoring scholars from around the world at the Carbon Management and Sequestration Center.